Sheep on the Al Shuwaikh last year. AUSTRALIA’S Federal Government will grant the live export industry $2.2 million into dehumidification research to reduce heat stress on livestock vessels. Minister for Agriculture and Water Resources David Littleproud announced the funding today, after the RSPCA and Animals Australia pushed back on the new Australian Standards for the Export of Livestock allowing shipments in May, during the Northern Hemisphere Summer. 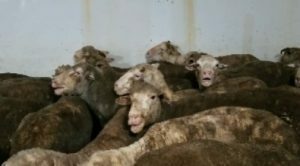 Live sheep under heat stress during a Middle East shipment in 2017. High humidity is a key factor which causes heat stress – a vital part of the “wet bulb” combination of heat and humidity. With humidity removed, animals are much more comfortable, a media release from Mr Littleproud said today. “We’ll contribute funding to a live export industry trial to test dehumidification technology on live export ships,” Mr Littleproud said. “The research project will trial dehumidification technology on an empty livestock ship in the Middle East and assess whether it can become a commercial reality. “After that, the dehumidifiers would need to be tested on a commercial shipment. “Potentially, this research could produce results which help other parts of agriculture. Minister Littleproud wrote to LiveCorp and ALEC in December urging them to research dehumidification immediately. The research will be overseen by LiveCorp. The minister’s statement said the results of the initial trial will be back long before the self-imposed June through August ban on live exports ends this year. The announcement follows the first Independent Inspector-General for Live Animal Exports, Ross Carter, starting work this week overseeing the regulation of the industry. The Animal Welfare Branch of the Department of Agriculture is now operating and the new Principal Regulatory Officer is now working in the Department, overseeing live export and animal welfare activities and supervising the application of the regulation. 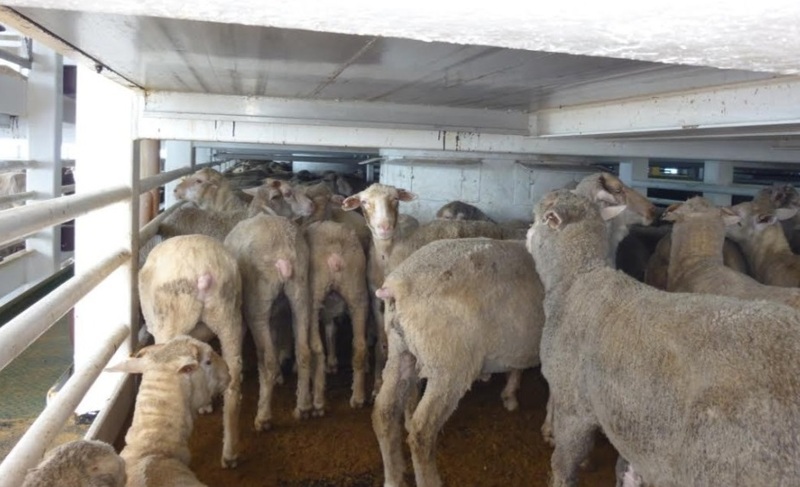 Independent observers are already on all live export ships to the Middle East. RSPCA Australia this week welcomed the Department of Agriculture and Water Resources’ final report into the review of Australian Standards for the Export of Livestock (ASEL), acknowledging improvements in additional on-board reporting requirements and a lower rate for notifiable mortality events, but said the proposed standards fail to reflect the scientific evidence on stocking density and its relationship to good animal welfare. Stocking density reductions of between 20 and 28 percent for sheep, depending upon the time of year, are proposed, but RSPCA senior policy officer Dr Jed Goodfellow the body was particularly disappointed to see that the final report has “backtracked” on stocking density reductions proposed for cattle. The RSPCA said the regulations proposed for sheep exports during May to October 2019 period ignored the advice of the Australian Veterinary Association, and contradicted a key recommendation of the McCarthy Review, to move the regulatory framework from one based on mortality to one based on animal welfare. “Both humidity levels and death rates rise in September. If the Department says it has the evidence to stop exports from June to August, it certainly has the evidence to do so for September as well. “It appears the only difference is the department has the industry’s blessing to stop June to August; it doesn’t for May, September and October,” Dr Goodfellow said. Animals Australia chief executive officer Glenys Oogjes based on the department’s own heat stress modelling, shipments should not be allowed to go to the Middle East in May. “This capitulation to the industry only reinforces the findings of the Moss Review which found the department of Agriculture is more concerned with facilitating trade than safeguarding the welfare of animals,” Ms Oogjes said.